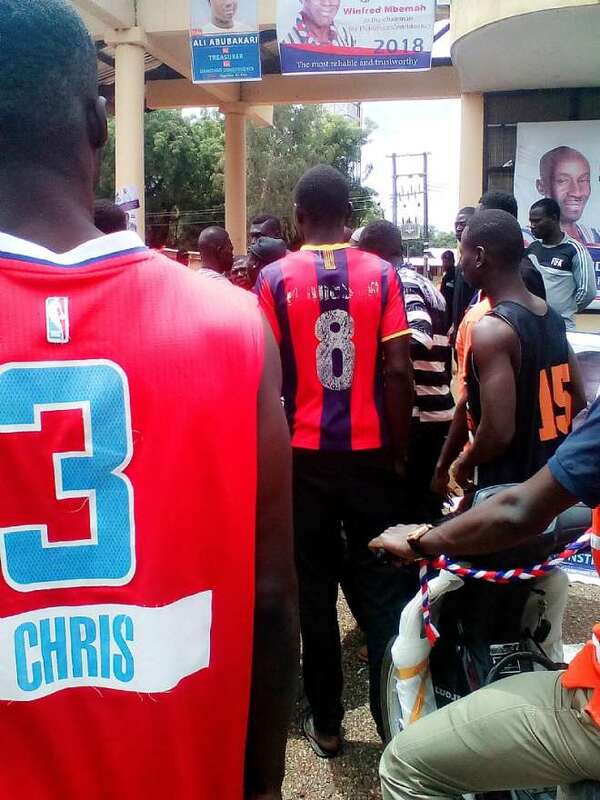 Aboagye Kwame has been elected chairman of the ruling New Patriotic Party(NPP) for the Damongo Constituency. 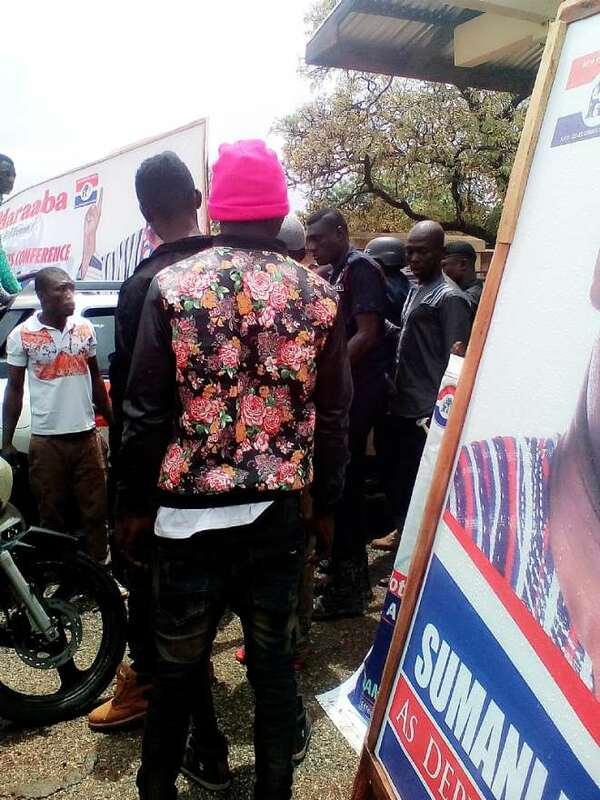 He obtained a total of 177 votes out of the total votes cast of 305 to beat his close contender,Winifred Mbemah,the incumbent who polled 127 votes. Kumatey Alex had no vote(0).One (1) rejected vote was recorded. Sumani Inusah, the deputy secretary-elect thanked the delegates for the confidence reposed in him.He assured that they were going to work to secure a permanent constituency office for the party.This he said would be a right step forward in making the party attractive to the grassroot. Laminu Iddrisu,who also contested for the position of deputy secretary but lost said he was happy because of the little change that had occurred with the chairman and secretary position. Election he said was about choices and not about somebody someone wants. He was however not happy about the interference in the election by some bigwigs.This he believed affected the chances of most of them. 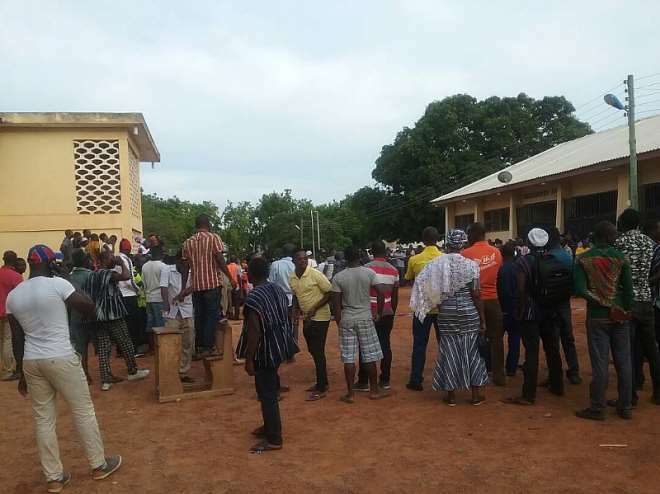 The election was generally peaceful except for some few disturbances that heralded the process especially at the entrance to the election ground. 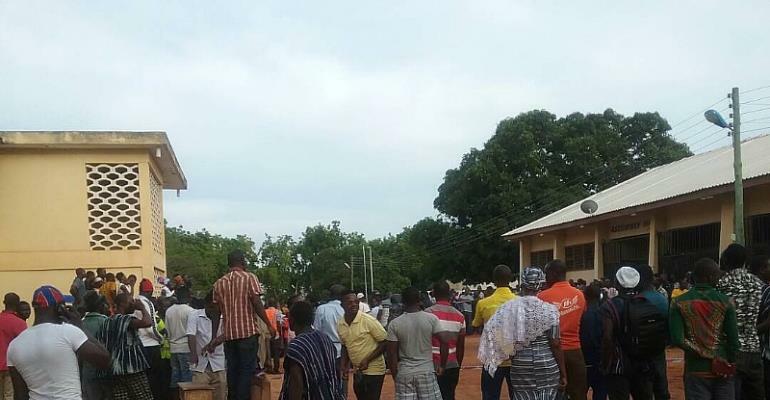 The process became confrontational from the start when the youth largely supporters of Nana Kwame were blocked at the entrance from gaining access to the venue to witness the election by the police.The police insisted that without accreditation,no one will be allowed access to the voting grounds and its vicinity.A directive which the youth said was alien and a marked departure from the past insofar as the internal election of the NPP in the constituency was concerned. 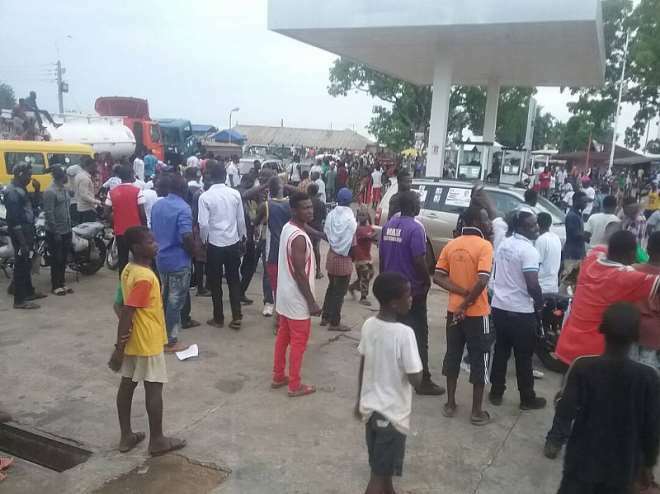 They accused the deputy chief of staff, Samuel Abu Jinapor for being behind such a directive and the heavy security presence which they said was meant to scare them. 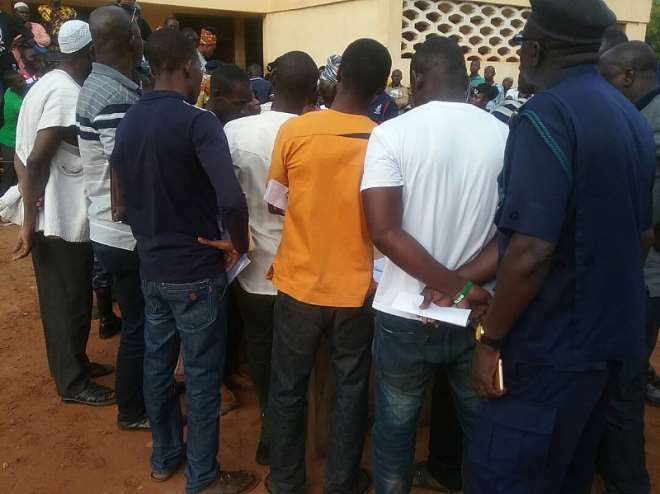 The aggrieved youth also said they were not comfortable with his presence since be had no direct stake and a voting right in the constituency. timely intervention of the security. They believed he should have remained neutral throughout the process instead of taking sides with the incumbent who was also seeking re-election. 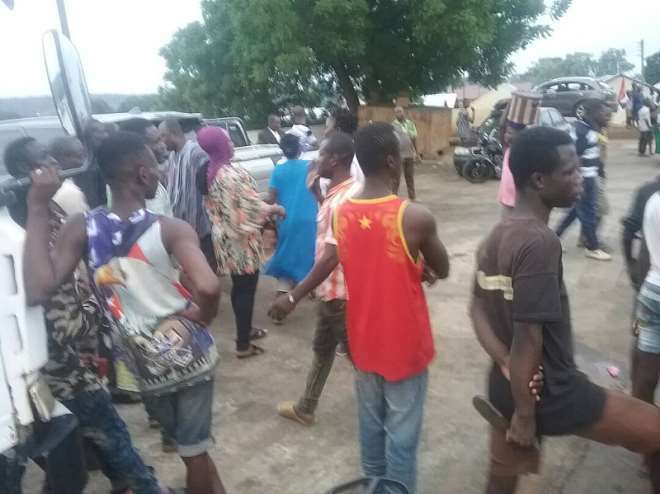 What got many people talking after the election was the hooting down of the deputy chief of staff when he had attempted to congratulate Nana Kwame at his residence.The youth who went ballistic, hooted at him until he left the scene.